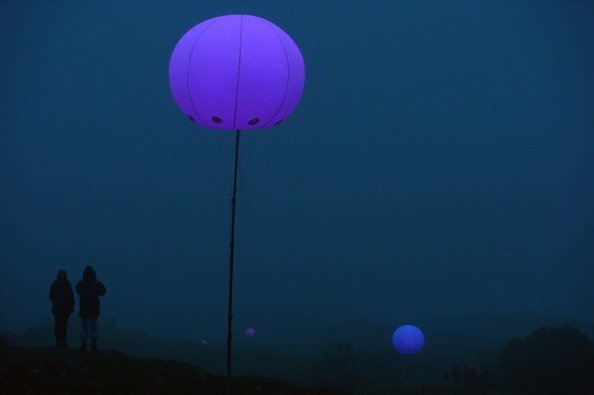 Connecting Light explores opposing ideas of borders and connection through landscape art installation, open-source electronic hardware and software, and networks. 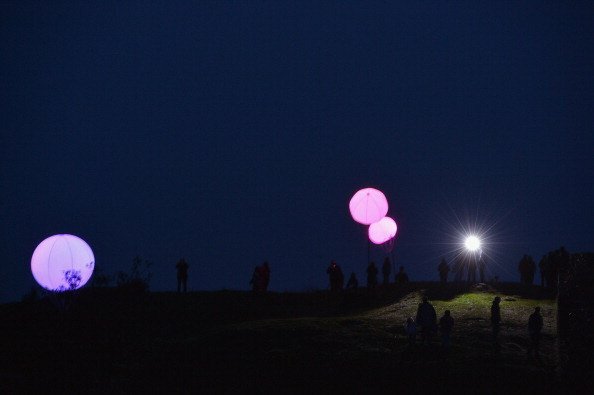 Hundreds of six-foot-in-diameter balloons, equipped with high-powered LEDs driven by radio devices, illuminate Britain’s greatest Roman monument: the Hadrian’s Wall World Heritage Site. 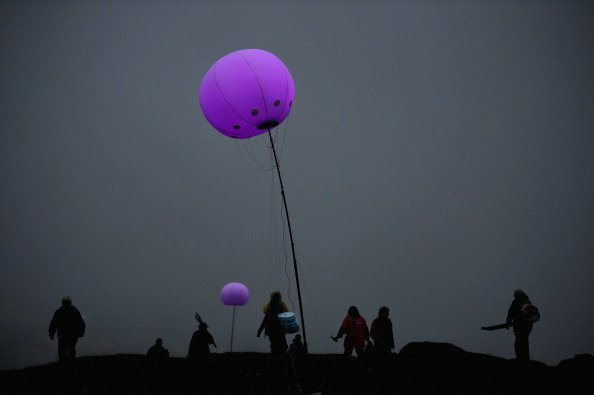 Arrays of balloons are distributed among several Hadrian’s Wall viewing locations, creating a land-scale communications network transmitting audience-generated messages—represented as pulses of brightly colored light. Messages could be viewed on-site from Friday, August 31 through Saturday, September 1; remote audiences can personalize, transmit, and see messages via this Web site. 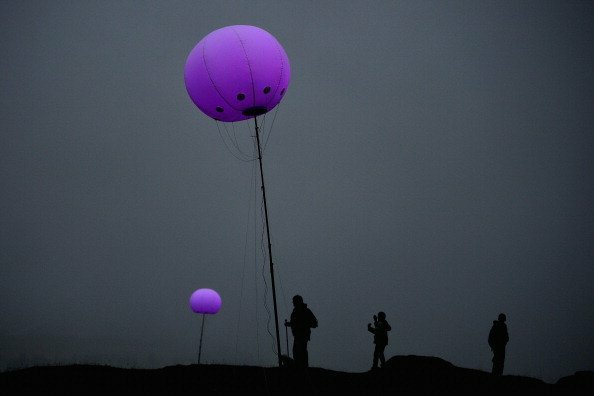 The electronic hardware and software underpinning Connecting Light is available as open source with the hope that others transform landscapes by constructing their own illuminated networks. Materials lists, plans, assembly instructions, and how-to guides can be found in the Connecting Light blog. 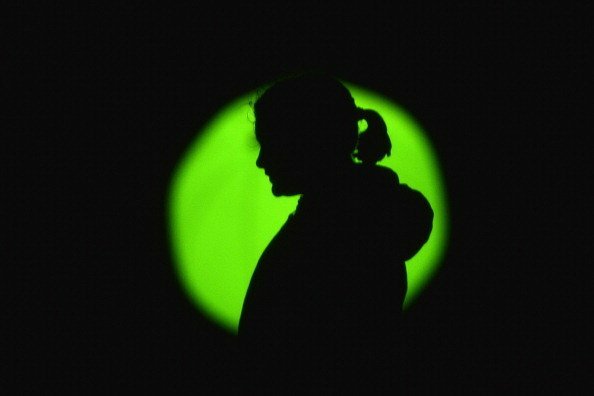 Connecting Light was part of the London 2012 Festival, a 12-week cultural celebration for the London 2012 Olympic and Paralympic Games that convenes leading artists from across the world to create new artworks. Opened on Midsummer’s Day 21 June and ran until 9 September 2012, the festival gave people across the UK the opportunity to celebrate the London 2012 Olympic and Paralympic Games through culture and the arts. The team working on Connecting Light includes Zach Lieberman , Molmol Kuo , and Marcela Godoy . Eric Rosenthal, Rob Faludi and Alex Beim provided technical consultation. Derek Chung , Ryan Ong , and John O’Neill developed the backend; Arturo Castro and Andy Wallace helped with the software. Type/Code , Michael Yap , and Barbara deWilde provided graphic design, interaction design, and web development. Chris Woebeken and Jihyun Lee prototyped interactions. Countless volunteers also donated there time to help bend wire, cut silicone, inflate balloons, setup equipment and so on.